Festival Alert! It’s time to dance on the grass again good citizens. Get on up to Cockeysville on Saturday for the second annual Susie’s Cause Bluegrass-Folk Festival. Oregon Ridge Park is playing host to the all-day show which features bluegrass icon Del McCoury and six other acts. The event is a benefit show to support the Susan Cohen Colon Cancer Foundation, a Baltimore-based nonprofit that works to provide colon cancer prevention, treatment and support services. Susie’s Cause was founded in 2005 by Susan Cohen, a mother of two diagnosed with colon cancer, along with her father David Rodman Cohen. Although she lost her personal battle with the disease, it never broke her spirit and drove her to spread the word to get screening for a disease that has great treatment success rates if detected early enough. In addition to helping spread the word on the importance of screening, Susie’s Cause has also raised over a half-million dollars for the Sidney Kimmel Comprehensive Cancer Center at Johns Hopkins. Ken & Brad Kolodner Quartet 11:30 a.m.-12:05 p.m.
Tim & Savannah Finch with the Eastman String Band 12:15-12:50 p.m. The Stray Birds 1:05-2:35 p.m . The Seldom Scene 4:25-6:10 p.m. The Del McCoury Band 8:15 p.m.-10 p.m. 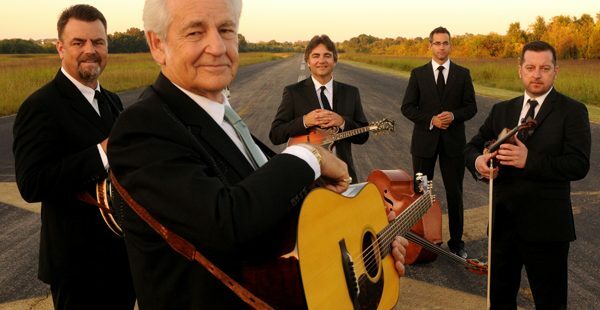 The Del McCoury Band comes in fresh off its International Bluegrass Music Association nominations for both Entertainer of the Year and Male Vocalist of the Year to headline the event. Del’s career has been celebrated with enough awards to fill a warehouse, including 31 IBMA Awards and a couple of Grammys, and doesn’t seem to letting up any time soon. He recently released “Del and Woody” a collection of songs with lyrics written by the late Woody Guthrie set to music created by McCoury. Make sure you keep an ear out for Mipso’s mid-afternoon set. I had a chance to see this North Carolina based foursome at Delfest earlier this year and they are not to be missed. 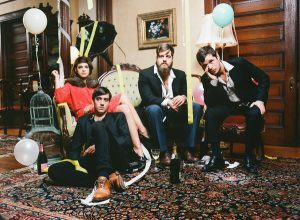 With great musical talent, charming harmonies and a beautiful Americana sound, they could just be the act of the day. When: July 30. Gates open 11:00 a.m., 1st set 11:30 a.m.
Premier tickets run $155 and include private viewing area, parking pass, access to Maryland Distillers Guild tasting tent, lunch and dinner, Tito’s vodka, tent access and more. Parking passes are $10 per car in advance. $15 day of the show. Tickets can be purchased here: www.susiesbluegrassfest.com/#!tickets/cq53 or at the venue the day of the show. Lawn chairs, blankets, cash (no ATMs available on site as of now), bug spray, sunscreen, sunglasses, hats, misting bottles, jacket for after the sun goes down, earplugs, beer koozies, head lamp for after dark, cellphone/camera (Share your photos on our festival Facebook event page! ), hula hoops, glow sticks, Frisbee, beach ball, solar string of lights, so you can find your chair or tent after dark. Weapons (unless government permitted), no glass, outside food and beverages (except 2 unopened plastic bottles of water or baby food), video recording equipment, and tents that would block others’ view are not permitted. Use common sense and you should be good to go! Food and drink will be available for sale.